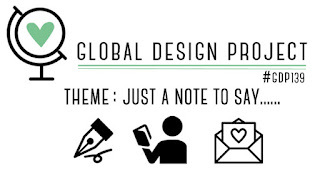 Today I'm playing along with the new challenge over at Global Design Project. 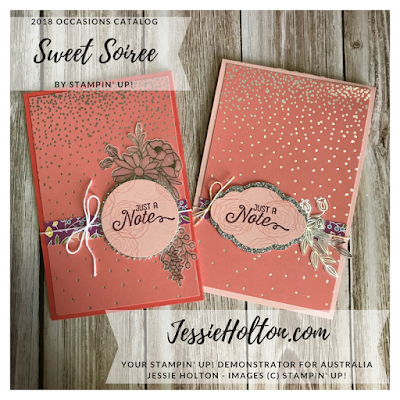 This week it's "Just a Note" so here are my cards, using up the rest of my stash of the beautiful Sweet Soiree Suite! 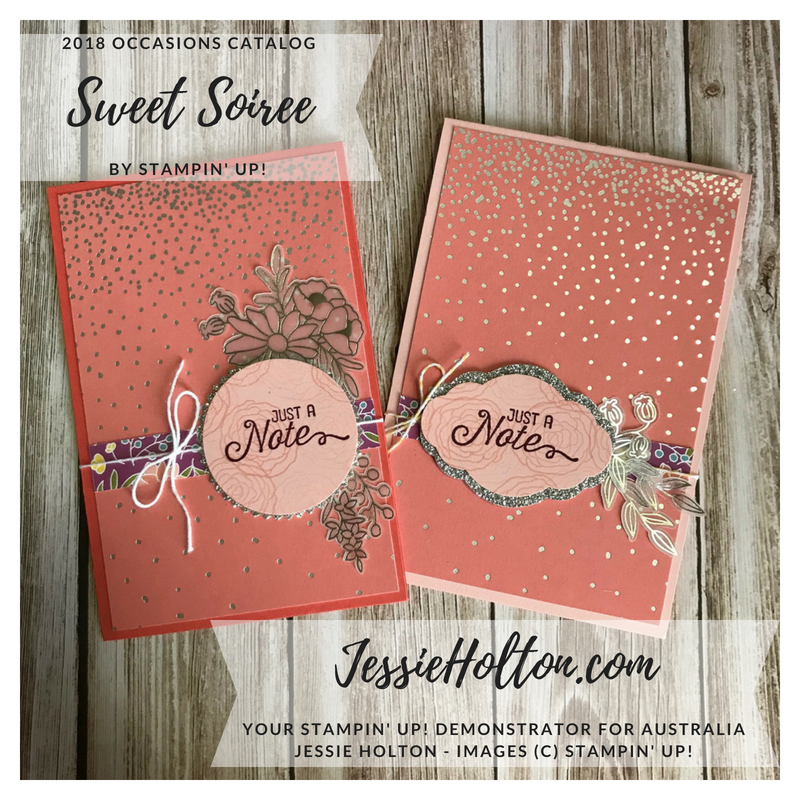 I just love all the products in this Suite & I have used the DSP & Embellishment Kit. 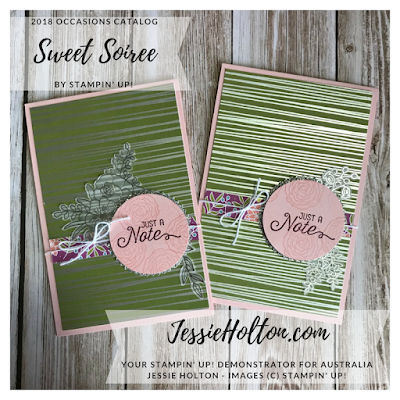 The 'just a note' sentiment is from the Flourishing Phrases stamp set. The 'happy birthday' sentiment is from the Cake Soiree stamp set. I have used Powder Pink & Calypso Coral cardstock for the bases. 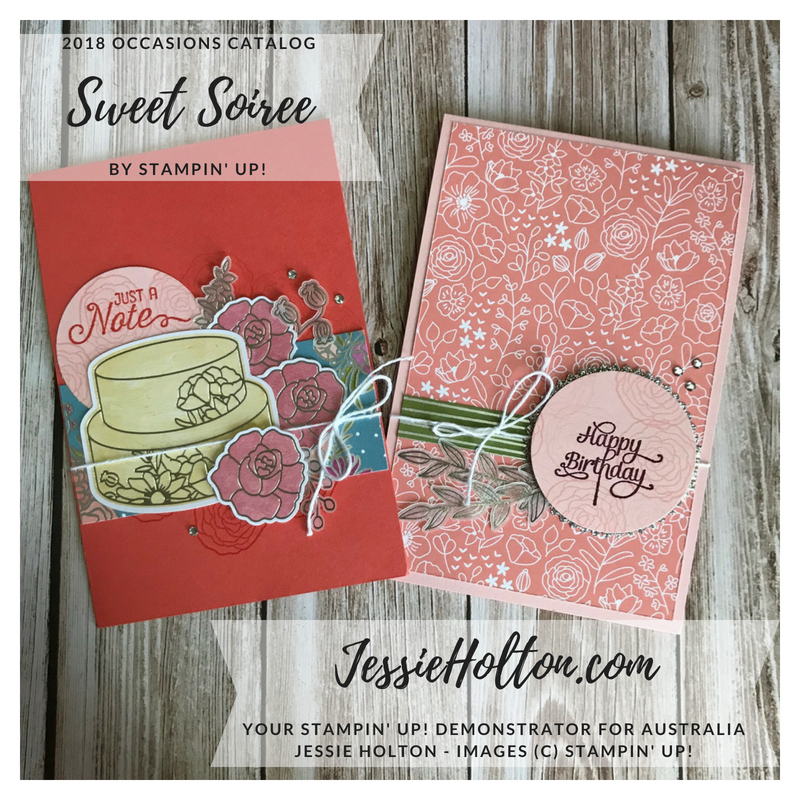 I also used Powder Pink randomly stamped with the larger rose outline stamp from the Cake Soiree stamp set, inked in Powder Pink. Some are stamped off. I used the Pretty Label Punch, 2" Circle Punch & Starburst Punch along with Silver Glimmer Paper & White Bakers Twine. These last cards have some Basic Rhinestones on them. I made about 30 of these cards they were really simple to assemble & used up the scraps as well. But only these 6 had the vellum flowers on them.